The Government of Belize through the Ministry of Health has released preliminary results which confirm three positive Immunoglobulin (IgM) antibody tests for Chikungunya (Chik V). The preliminary tests were conducted following a Chik V surveillance investigation in the Las Flores Area of Belmopan City in the Cayo District in which three individuals tested positive in a quick test. The three individually tested have confirmed that they had stayed with relatives that had Chik V in El Salvador, but it was after their return to Belize that they began showing symptoms. According to the Ministry of Health, the three positive IgM samples along with another sample were sent on Monday November 2nd for further testing and confirmation to the Caribbean Public Health Agency (CARPHA) Laboratory in Trinidad. “Out of the 11 screened, we had three reactive, and now we are sending it for confirmation…we are finding these preliminary tests positive from Las Flores, we have a lot of people traveling to El Salvador, and as you know, Salvador has a lot of cases,” said Dr. Michael Pitts, Belize’s Director of Health Services Chik V is an infection caused by the Chikungunya virus which is transmitted to humans the same was dengue fever is: by virus-carrying Aedes mosquitoes (Aedes albopictus and Aedes aegypti). It causes an illness with an acute febrile phase lasting two to five days, followed by a longer period of joint pains in the extremities, pains that may persist for years in some cases. The incubation period of Chik V ranges from two to 12 days. The majority of those infected will develop symptoms including a fever up to 40 °C (104 °F), severe joint pain along with muscle pain, headache, nausea, fatigue, rash and even partial loss of taste. The Chik V has been affecting several Caribbean countries for some months now. Recently, there were reported cases in neighboring Central American countries of Guatemala and El Salvador. Belize has become the next Central American country where Chik V has been confirmed in the region. 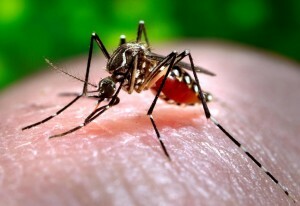 The best means of prevention is overall mosquito control and the avoidance of bites by any infected mosquitoes. There is no specific treatment for Chik V, but medications can be used to reduce symptoms. Plenty of rest and enough fluid intake is recommended. 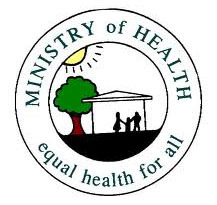 According to Pitts, the Ministry of Health has increased its level of activities, conducting house to house inspections and spraying. Besides spraying, they have been doing larvicide (insecticide specifically targeting larval life stage of an insect.) and removing containers where larvae thrive. The Ministry of health has confirmed that out of the 540 houses in Las Flores, they have visited 84%.